In 1972, the Chiefs moved into the newly constructed Arrowhead Stadium at the Truman Sports Complex outside of Downtown Kansas City. The team’s first game at Arrowhead was against the St. Louis Cardinals, a game which the Chiefs won 24–14. 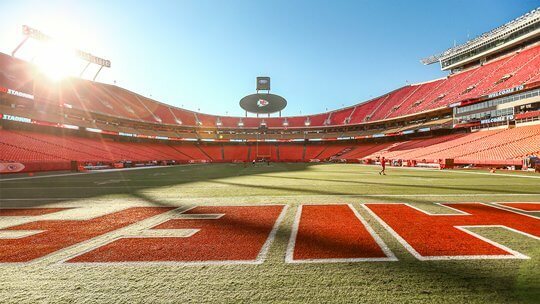 Arrowhead Stadium in Kansas City, Missouri, is home to the NFL’s Kansas City Chiefs. Part of the Truman Sports Complex, together with Kauffman Stadium, it is the 28th largest stadium in North America and fifth largest NFL stadium in seating capacity, behind AT&T Stadium, Lambeau Field, MetLife Stadium, and FedExField. It is the largest sports facility by capacity in the state of Missouri. A $375 million renovation was completed in 2010.